Byrne Resources offer soil treatment across Queensland and Northern NSW including Waterford, Millmerran and Pinkenba. Do you have a plot of land that needs soil treatment or soil stabilisation before you use it again for agricultural purposes or another project like land development? Do you simply want to have your topsoil healthy if you want to use it in the near future? If so, Byrne Resources specialises in contaminated land remediation. From Northern NSW up to Byerwen or Central Queensland and out to Waterford, we can process your soil to remove the soil contamination quickly and efficiently. This will allow you to have healthy soil ready for your new project. 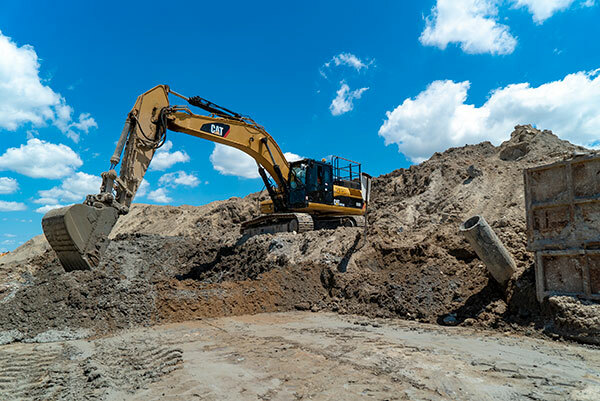 Whether you're a construction company or a private owner-operator, we can tailor a soil remediation plan to quickly and easily rehabilitate your land and make it habitable again. In areas like Brisbane and the Gold Coast, healthy land can turn into a nice rental property or development that earns you money, and we'll help you take the first steps. Let Byrne Resources perform soil remediation on your land in Pinkenba or Eagle Farm. When you need soil stabilisation or contaminated land rehabilitation, you want a professional and knowledgeable company working with you to ensure that they do the job right. You won't have to worry when Byrne Resources does a soil treatment on your topsoil. Our decades of industry knowledge and thousands of satisfied customers speak for us. With completed soil remediation projects ranging from Brisbane up to Byerwen and out to Waterford, there is no job too big or too small for our staff to handle. We'll work quickly and efficiently to remove any and all soil contamination from land on the Gold Coast, in Millmerran and Eagle Farm. Contact Byrne Resources for a free quote on our soil treatment solutions today across Eagle Farm, Waterford, Millmerran and Byerwen. Need contaminated land removal in Pinkenba, central Queensland, Northern NSW or Queensland-wide? We're ready and willing to perform soil remediation on your topsoil. So, get in touch today for a free quote on the contaminated land removal and soil remediation services you need on your site.